Romance readers are voracious consumers so how do you match your romance novel with a business strategy to make money in romance publishing? Agent Sara will discuss profitable business strategy by evaluating formats, distribution and subsidiary rights. What role does social media play in profit and how do authors capitalize on that? How should each writer evaluate what’s best for their career based on their personality, how quickly they write, in what sub-genre they write and their backlist? How does an agent strategize for an author’s profit? Those who follow Sara on Twitter know that she can quickly and succinctly provide her expert opinion on query letters. Saguaro Romance Writers will take advantage of that skill by having Sara provide feedback on cold reads of several query letters from SRW members and other event attendees as time allows. Sara Megibow is a Literary Agent at kt literary with over 10 years experience in publishing. She represents New York Times and USA Today bestselling romance authors including Roni Loren, Ashlyn Macnamara, Tiffany Reisz, Maggie Wells and Jane Kindred. As an agent, Sara specializes in representing debut authors who write in these genres: middle grade, young adult, romance, science fiction, and fantasy. Within the romance genre specifically, she represents absolutely all sub-genres of work, including (but not limited to!) contemporary, fantasy, paranormal, historical, erotica, new adult, young adult, and steampunk. Sara is on twitter @SaraMegibow where she tries hard to answer professional questions as time allows. The Saguaro Romance Writers are excited to welcome Jessica Watterson of the Sandra Dijkstra Literary Agency to our October Special Event. She’ll provide an “in the trenches” look at all things query letters. Join us for tips, tricks and an inside look at the elements of a query letter and what makes a good one. Then she’ll put that advice into action with cold reads of several query letters from SRW members and other event attendees as time allows. Jessica is an agent at the Sandra Dijkstra Literary Agency. She graduated from the University of California at Irvine with a degree in sociocultural anthropology and English. Jessica has made books a serious part of her life for many years. During college, she started an indie review blog that has featured author interviews and has reviewed several self-published books that eventually ended up on the New York Times Best Seller list. Jessica is actively building her list and is most interested in all genres of romance, especially historical, contemporary, romantic suspense, and paranormal. She greatly enjoys romance novels with strong characters that jump right off the page and a plot that stays with the reader long after the book has finished. Special Event Meeting fee of $30 for members $45 for guests and walk-ins includes a single-entree buffet lunch. Part of your job is overcoming the fear most writers feel when it comes to selling themselves and their work. (If we were the naturally outgoing type, we wouldn’t BE writers!) So this session begins with a look at the seven fear-fighting techniques. Next comes the pitch itself, with hands-on work to prepare what you’ll tell the agent or editor during a formal appointment or an elevator meeting. Finally, we’ll cover the tricks for improving your presentation…and following up for the best chances of success. If you’re not planning to pitch anytime soon, you’ll get to choose an editor / agent’s role and play it for all it’s worth! Whether or not you’ve met the editor / agent face-to-face, at some point they’ll need a synopsis to convince their superiors “we want this book.” So you’ll need to put on your Dan Draper hat and use some proven techniques from Madison Avenue that get people wanting to buy a particular product. We won’t get your entire synopsis written during this session, but you’ll learn every step you need for creating a synopsis that makes people eager to see your book. This special event takes place at the Visount Hotel (4855 East Broadway) from 9:30 am-2:30 pm. Cost is $30 members, $45 nonmembers and includes a deli buffet. Come and learn from New York Time and USA Today Best Selling Author Brenda Novak with her full day special event. Learn Brenda’s secrets for Enhancing Creativity, how to bring more creativity in your life, to enrich your writing and your characters, and help overcome writers block. In Brenda’s second session Emotion: The Heart of the Novel learn tips to add emotion to your novel’s plots, to enhance your characters relationships and authenticity, and to weave your way into your readers hearts. Be prepared to take notes, share ideas, laugh, and learn. It was a shocking experience that jump started Brenda Novak’s author career. “I caught my day-care provider drugging my children with cough syrup to get them to sleep while I was away,” Brenda says. “It was then I decided that I needed to do something from home. Many of Brenda’s books have been designated an RT Book Review Magazine “Top Pick” and have gone on to place in contests such as the Romance Writers of America RITA™ Award, the National Readers’ Choice, the Bookseller’s Best, the Write Touch Readers’ Award, and the Book Buyer’s Best. DAY SACRAMENTO, GOOD DAY ARIZONA, Booklover TV and KFBK News Talk Radio. For more about Brenda, visit www.brendanovak.com, where you can find excerpts of her work, prize drawings and information about her online auctions for diabetes research, which she holds most years in the month of May in honor of her son and the many others who face this terrible disease. This event takes place at the Viscount Hotel (4855 East Broadway). from 9:30 am-2:30 pm. There will be no chapter meeting, and there is no restriction on guest attendance. Special Event fee of $30 members, $45 guests and walk-ins includes a sandwich buffet lunch. SPACE MAY BE LIMITED. Walk-ins are welcome, but whenever possible, please guarantee your spot by reserving on our payments page or by emailing reservations@tucsonRWA.org no later than 8 am Wednesday before the event. Why do some stories work and others don’t? Is there some unspoken secret for success that famous authors are aware of and you’re not? If you’ve struggled to write consistently solid novels, only to repeatedly realize something isn’t working, then you’re ready to discover story structure. An understanding of proper story structure will help you to perfectly time your story’s major events and give you an unerring standard to use in evaluating your novel’s pacing and progression. Structure allows authors to create timeless stories that resonate with readers. More than that, structure provides authors with valuable guidance in understanding how story theory works and in planning novels, chapter by chapter. In this presentation, you will discover the universal underpinnings that guarantee powerful plots, learn how to create solid plot points, and gain an understanding of how proper structure guarantees a solid foundation for your stories. How to implement a strong three-act structure, using ten important plot elements. How to time your acts and your plot points. 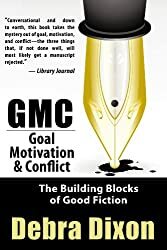 How to determine the best methods for unleashing your unique and personal vision for your story. How to identify common structural weaknesses and flip them around into stunning strengths. Writers often look upon outlines with fear and trembling. Won’t outlines limit your creativity and rob the joy of discovery from your first draft? Why spend all that time preparing for a story when you could be writing it? But when properly understood and correctly wielded, the outline is one of the most powerful weapons in a writer’s arsenal. K.M. Weiland, author of Outlining Your Novel: Map Your Way to Success, will help you learn how to choose the right type of outline for you, brainstorm plot ideas, and discover your characters. Outlines ensure cohesion and balance in the finished story. They prevent wasted time pursuing dead-end ideas, allow you to craft resonant foreshadowing, and, most importantly of all, provide you a foundation of confidence and motivation. K.M. Weiland is the award-winning and internationally published author of the Amazon bestsellers Outlining Your Novel: Map Your Way to Success and Structuring Your Novel: Essential Keys to Writing an Outstanding Story, as well as three novels. 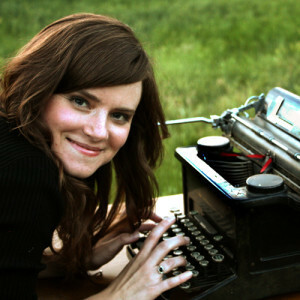 She mentors other authors through her award-winning blog HelpingWritersBecomeAuthors.com. She makes her home in western Nebraska. Writers who know how to create fabulous characters but who struggle with plot. Writers who want to learn how to create the unique, personally structured writing process that will best for them. Writers who want to take full advantage of their stories’ premises. Writers who want to learn the secret to creating consistently good stories. Writers who want to spot and fix story problems before they start writing the first draft. Special Event fee of $30 members, $45 guests and walk-ins includes taco-bar lunch. SPACE MAY BE LIMITED. Walk-ins are welcome, but whenever possible, please guarantee your spot by reserving on our payments page or by emailing reservations@tucsonRWA.org no later than 8 am Wednesday before the event. Do most of your stories start with a bang and end with a whimper? Do you have drafts with squishy middles and no “The End” in sight? Nancy Ellen Dodd is here to help with her workshop, The Five Keys to Finishing Your Story. What you need to finish your story. Nancy will talk to writers in-depth on story writing elements and how to apply them more effectively to their individual work. Two individuals will be chosen to bring up to three (3) basic story problems they need to solve in order to finish their novel, short story, or screenplay. Nancy will talk about ways to answer story problems. She will also give the two individuals feedback on their pages in a way that will enable the whole class to learn from the process. Ms. Dodd teaches advanced screenwriting at Pepperdine University, and wrote “The Writer’s Compass: From Storymap to Finished Draft in 7 Stages.” This workshop includes material not in her book. Nancy Ellen Dodd is a writer, a university instructor, and an editor. She received her master’s in Professional Writing from the University of So. California with a concentration in dramatic writing/screenwriting and her MFA in playwriting at USC’s School of Theatre. Having studied writing for more than 25 years, Dodd currently teaches screenwriting at Pepperdine University for undergraduate and graduate students. She also studied writing with several successful, award-winning writers: Pulitzer-prize winning playwright Paul Zindel; playwrights Velina Hasu-Houston, Oliver Mayer, David Milton, and Lee Wochner; screen and television writer Sy Gomberg; and international poet James Ragan. Dodd has received numerous awards for her writing, which include screenplays, plays, short stories, short films, and novel-length works, as well as inspirational writing. She has also published more than 130 articles in local and national publications including interviews with celebrities and business leaders. Please note that this is a special event and will not take place in our usual venue. This workshop is at the Viscount Hotel (4855 East Broadway) and there is no Chapter meeting this month. Meeting fee of $45 members, $55 guests and walk-ins includes a sandwich-bar lunch. SPACE MAY BE LIMITED. Walk-ins are welcome, but whenever possible, please guarantee your spot by reserving on our payments page or by emailing reservations@tucsonRWA.org no later than 8am Wednesday before the meeting.